KEN YUSZKUS/Staff photo. 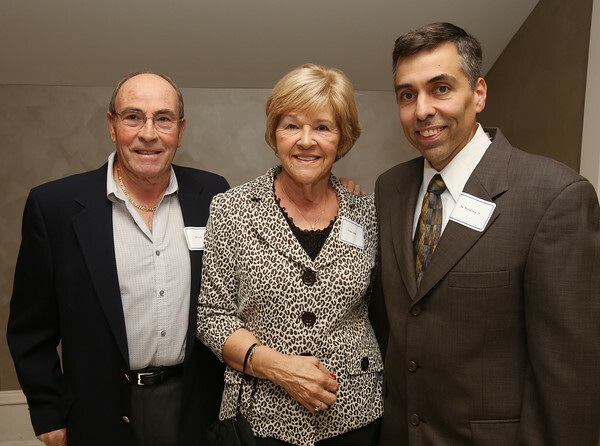 From left, friends of Jose “Joe” Mendonca, Bill Faria and Virginia Faria, and son of Jose “Joe” Mendonca, Joe Mendonca at the Peabody Chamber of Commerce annual dinner which featured the Harry Ankeles Community Service Award winner Jose “Joe” Mendonca. 11/05/15.